Calibre Nibiru 1.0 and 2.0 will feature full carbon frames, with Shimano Sora and 105 groupsets respectively. 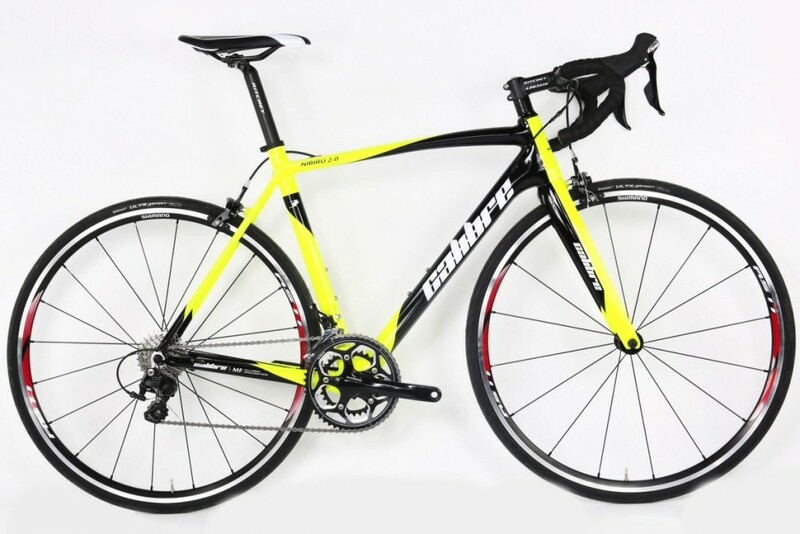 Having first started to sell road bikes back in 2014, outdoor equipment retailer Go Outdoors is looking to move up in the bike market with two full carbon road bikes priced at £800 and £1,000. The top of the range £1,000 model will be the Calibre Nibiru 2.0. The bike has apparently been put through testing over tough Peak District roads and is designed “to be thrown around and used to attack, but won’t break your back on longer rides”. The carbon frame is complemented by Shimano 105 shifting, with a 11-28t cassette and a RS500 compact chainset at the front. The wheels are also from Shimano, with the Japanese company’s RS11 wheelset topped with a pair of Continental Ultrasport 25mm tyres. Finishing kit comes courtesy of Ritchey. The other new bike is the Nibiru 1.0, which comes with an identical frame to its big brother, but with slightly less expensive components. This means a full Shimano Sora groupset, with the attractive choice of an 11-32t cassette, and Mavic CXP 22 rims on Formula 32 hubs. However the tyres and finishing kit are the same as on the 2.0. Mike Sanderson, cycling buyer for Go Outdoors, said: “I expanded the range into road and commute with the same design ethos and passion to give customers the best experience in cycling so they can enjoy the sport I love so much that has brought me so much.